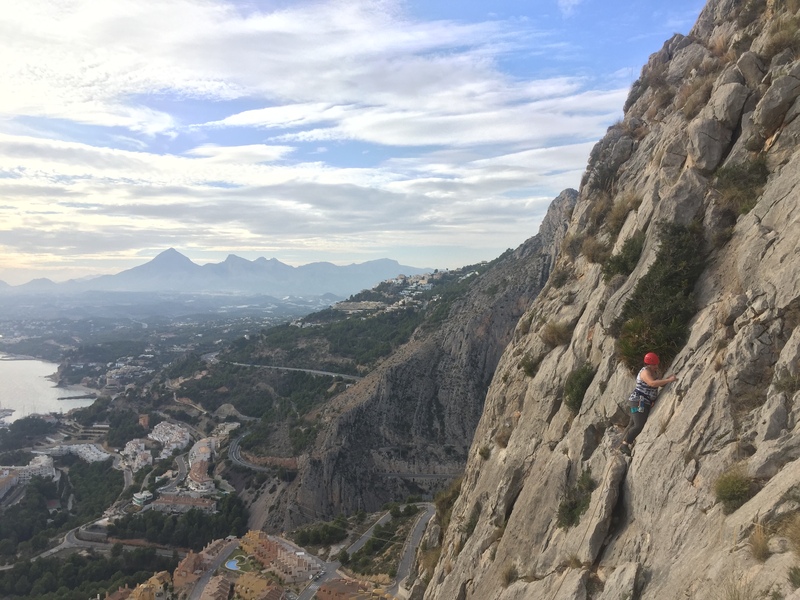 Between 17th-24th November 2017, eighteen volunteer reservists from 212 Field Hospital undertook a rock climbing expedition to the Costa Blanca region of Spain. 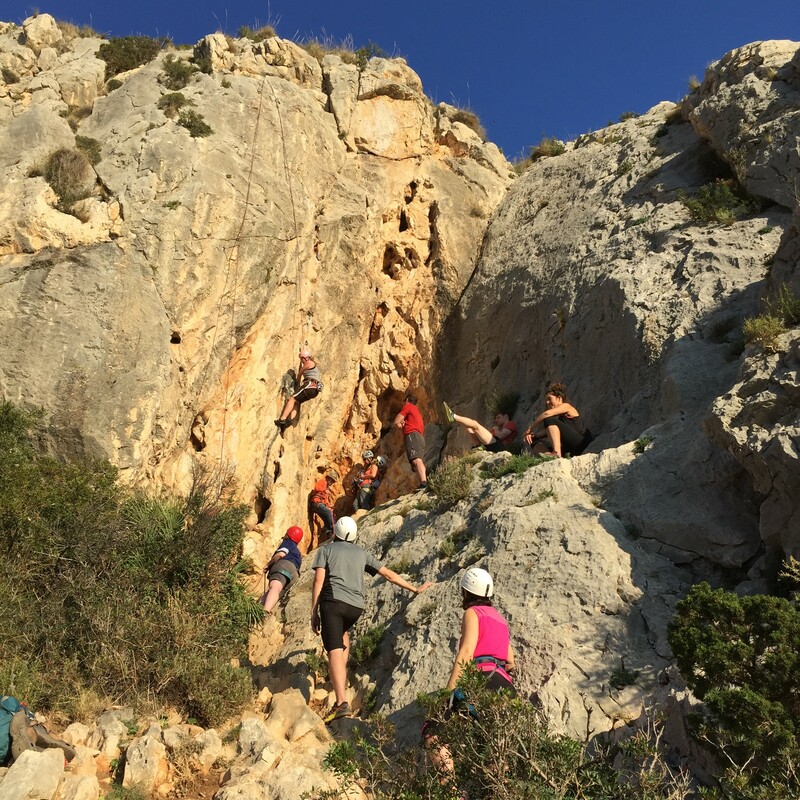 The aim of this expedition was to challenge the participants mentally and physically, using rock climbing as a medium to do this. 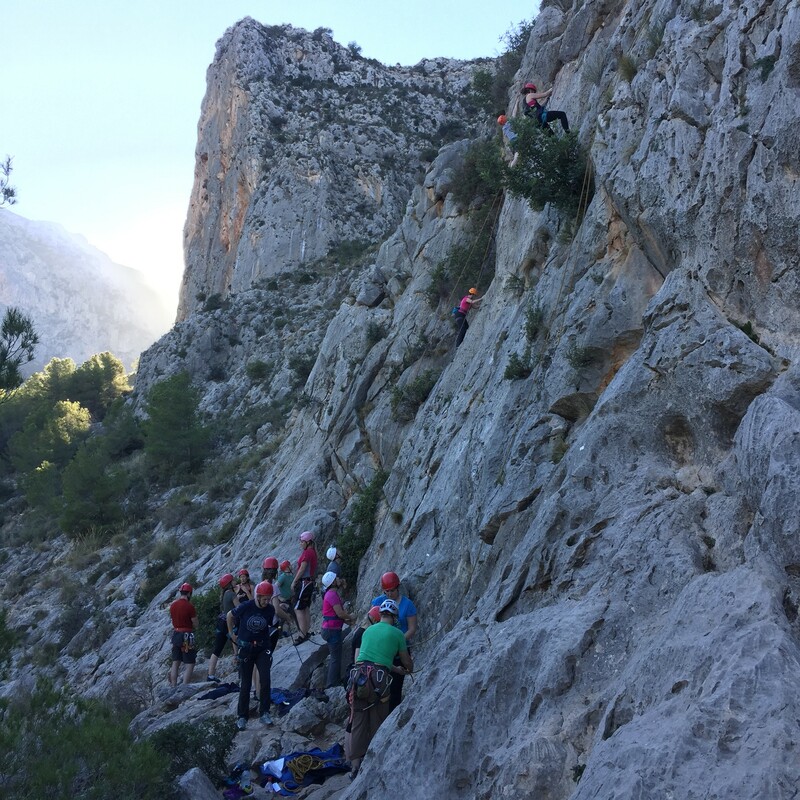 The group consisted of greatly varied ranks, ages, and – most importantly – climbing experience. 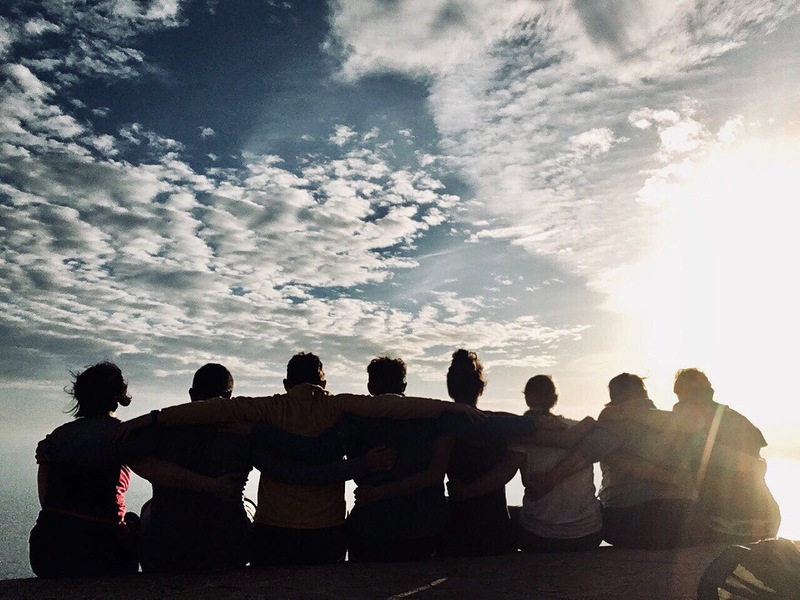 Whilst some had years of rock climbing behind them, the vast majority were complete novices with minimal or no climbing experience, and quite honestly had little idea of the challenges that faced them during this expedition. 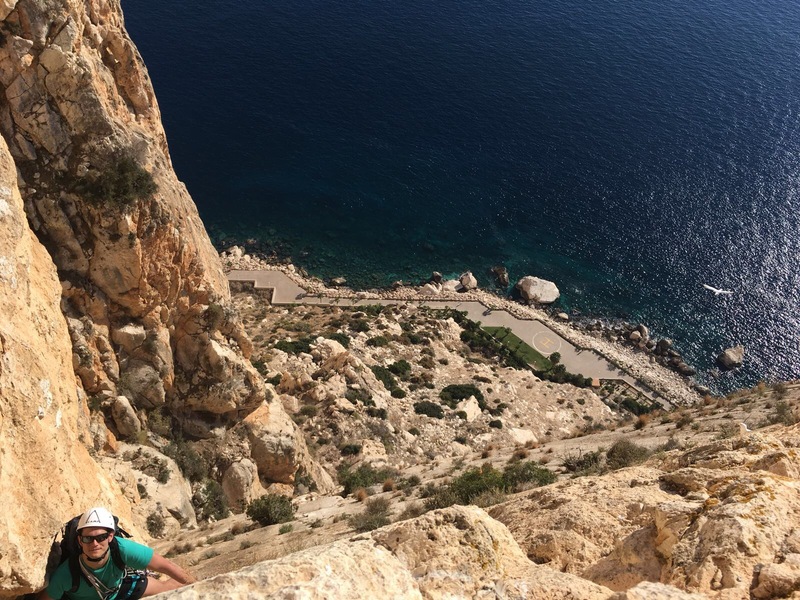 The Costa Blanca region was selected as the destination for this expedition due to its temperate winter climate and the abundance of challenging yet easily accessible climbing routes. 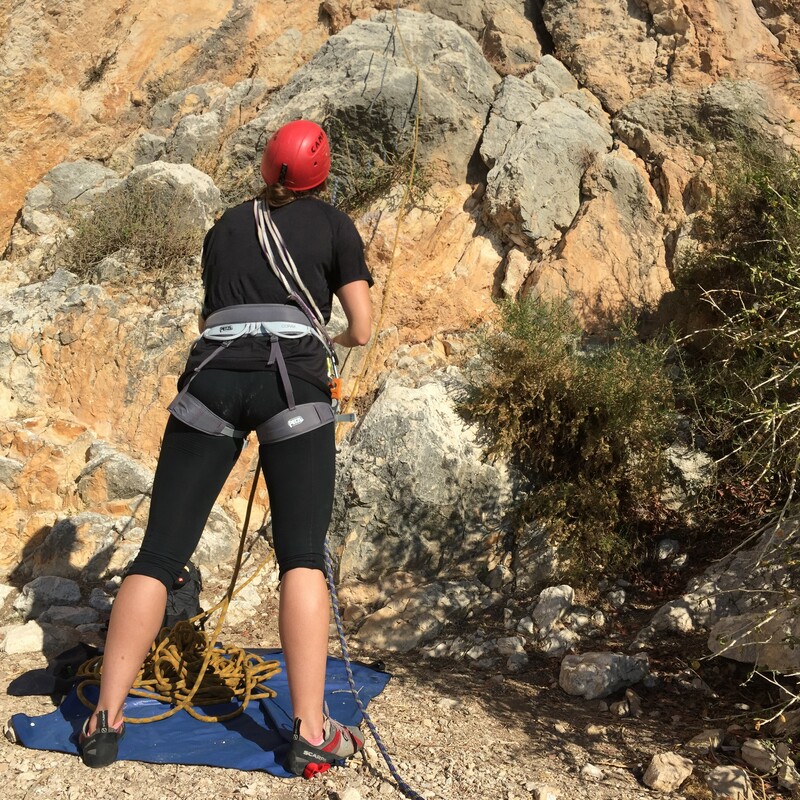 In addition to the prospect of learning or progressing their climbing skills, all participants were to be given the opportunity to gain their Joint Services Single Pitch Rock Climbing Foundation Award. 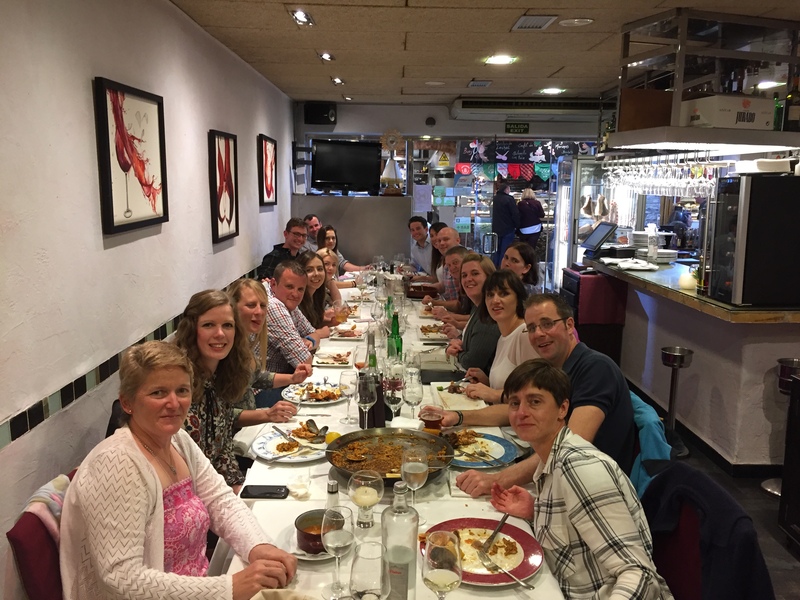 The first challenge would therefore be the large amount of information and skills that were required to successfully achieve this award in such a short period. This therefore meant that a busy and intense schedule of climbing everyday was required. Whilst this was exhausting and physically draining – with there being days where every muscle ached when even attempting to lift arms above heads, let alone scaling a vertical cliff face – team spirit and a newly emerging love of climbing meant that the entire group very much enjoyed themselves and excelled for the entirety of the busy trip. Throughout the expedition we saw amazing courage and determination from all of the group; a fact evident by some of the achievements accomplished in this time. Whether it was seeing individuals 30m high learning how to lead their own climbs when previously they had been terrified to even take their feet off the ground, or whether it was watching individuals progressing onto learning to multi-pitch climb on some breathtakingly difficult routes, the sense of achievement that was felt as both individuals and as an entire team was spectacular. 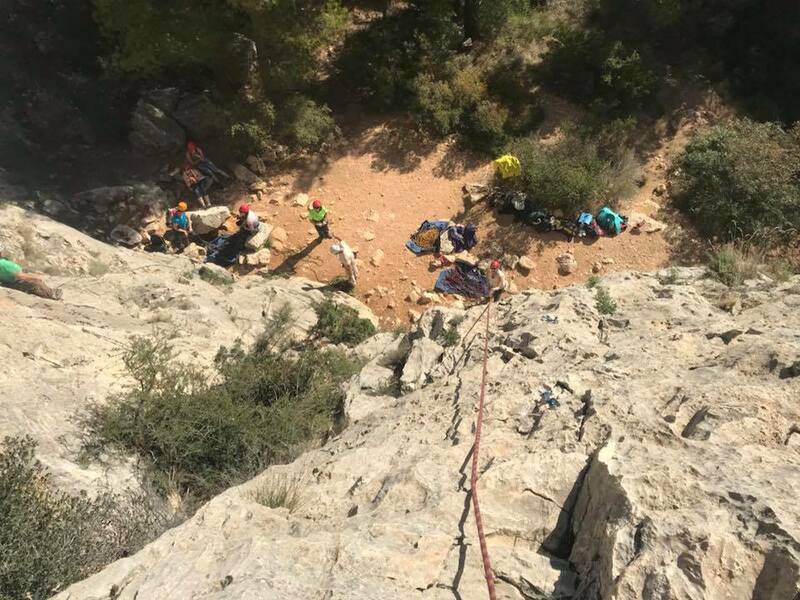 212 Field Hospital would like to express their gratitude to The Ulysses Trust for their very kind and greatly appreciated support, and have great pride in saying that all participants successfully passed the requirements to be awarded the Joint Services Single Pitch Rock Climbing Foundation Award.